PG&F, TM are export partnership in Ukrainian Optical Glass Factory. The activity is in export position. Our products are known very well: GOST's glass, as well as, UKR-CIS's glass, that same things. The optical glasswork was born in Ukrainian Optical Glass Factory, thanks to strong traditions of known crown and flint, since 1923. Next, Ukrainian chemists have mastered 110 types of glass on 1940. 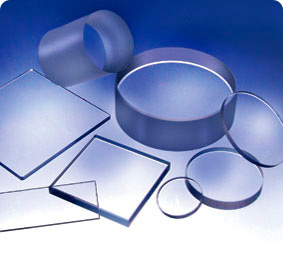 Now, PG&F represent by more optical materials and optical products from Ukraine. Our main position is in glass good goods. Our work is standard and firstclass products line and service. All paperwork, e.g. data sheet, test report, standard terms, etc, attach to each delivery. The test certificate is made in Ukraine. There is test lab in the factory. Also any special tests can be ordered in the firstclass test-company SGS Ukraine. Always, we proffer deliveries via 'EMS', or if you want to nominate other delivery service, e.g. : 'TNT', 'DHL', 'PANALPINA', etc, only thanks to your accounts in these delivery services. All packs prep. firstclass. We use special freight packs two-in-one when extra stacking strength is needed, the double walls corrugated box was been taken therefor; to inside all walls are to be padded by foam-plastic abt 20 in mm. There is internal extra box; to it around fill polystyrene bead-or-loose. Other conditions are strong box-corners, standard cover, tapes, labels, markers. The delivery is nett 45 B'days ex works to a freighter. The standard terms and conditions is on backpage of an invoice. A special terms, if any insurance are to be organised, thanks to you, maybe, in your partnership with Allinz insurance group or other insurance group. Also, any special tests can be ordered in the firstclass test-company SGS Ukraine. The standardly, we quoted on standard prices, which are to be close to market prices. The currently, we quite can quote on a fairer price vs some market prices. However, we know about a factory cost and a historical cost in our factory, but generally - we don't know market prices best, which any another maybe know better. Then if can you advise us about a price, to we can agree without discussion long-term, as the phrase goes: "our answer is to be in your question". Pls contact us, if you need in more info by any request for quotation with your info about a price, with which you want to purchase. Maybe, we are able to go on mark-to-market of our standard prices, and on same things at a same time, to offer with fairer prices.